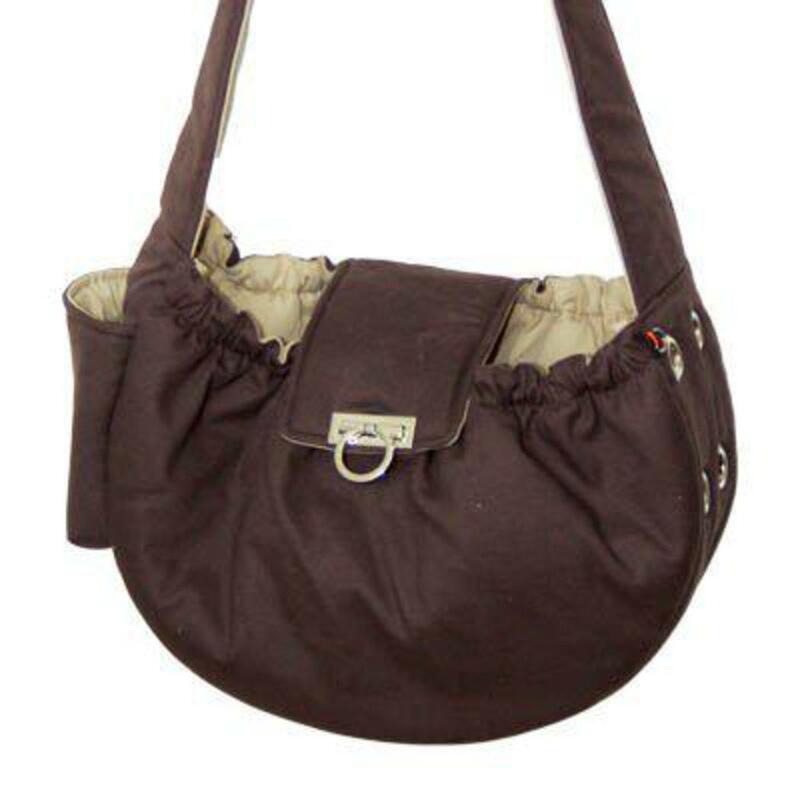 Soft and comfortable dog carrier is available in brown, black or green. Made of strong preshrunk cotton, this messenger bag features over the top opening, side pocket for your stuff, adjustable shoulder strap, and stylish vitalization holes. Bag measures about 15x5x8 inches. Fits up to the average 9lb dog. Great design by Dogo Pet.